This is my 20th Blog Post !!! I’m so excited that I’ve made it this far in the HR blogging world and very thankful to everyone that has come and supported the blog. 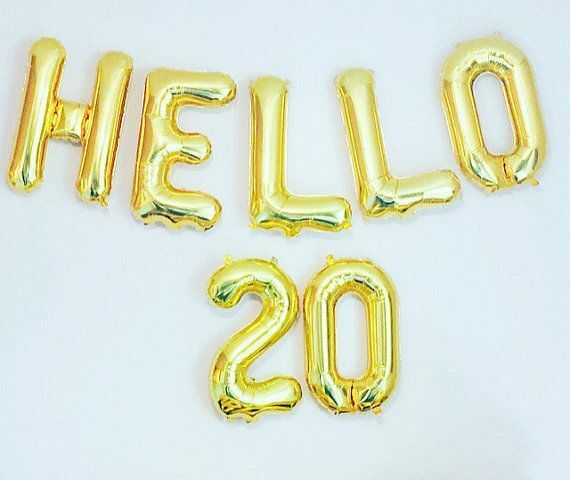 It hasn’t been 20 years or even 20 months, but 20 is a big deal and it’s normally around the age that most people enter the “adult” career world. I’ve been working since I was 16, but of course, those were part-time jobs that paid minimum wage and while it gave me experience, I knew I did not want to work in a call center forever. I decided for my 20th Blog Post on the HRJazzy Blog, we will start a mini theme, named “Dear Applicant”. When most people turn 20 they are realizing that college graduation is near, if they choose that route of life, and trying to find internships, jobs, volunteer roles that will help give them experience. “Dear Applicant” is here to answer questions that new people coming into the workforce may have and inform them on what HR and recruiters are searching for every step of the hiring journey. Dear Applicant: When filling out an application, read over the entire application, fill out the entire application, and do not lie regarding your background. I work in a small franchise company and I receive and review all of the applications that come into the stores and office. We have paper and online applications because most of our applicants are actually customers first, we get more paper applications. I read over ever application before I run a background check to see if anything is missing and has not been completed. I understand that this is a part-time position for potential employees and that for most of them, this is their first job, but you have to pay more attention to the details when completing the applications. Before you submit the application online or in person, read over each page. If you have a question, contact the company, do not wait to see if the company finds the missing information and reach out to receive clarity. I would rather you contact the manager of the store or myself to ask questions or explain concerns you have, before turning in the application. Also, please know, HR will not run your background report if the paperwork is not completed the correct way. This means you are increasing your wait time to receive a follow-up interview or job offer. The paperwork you receive and the information from the manager give clear information that the company will be running a background check. 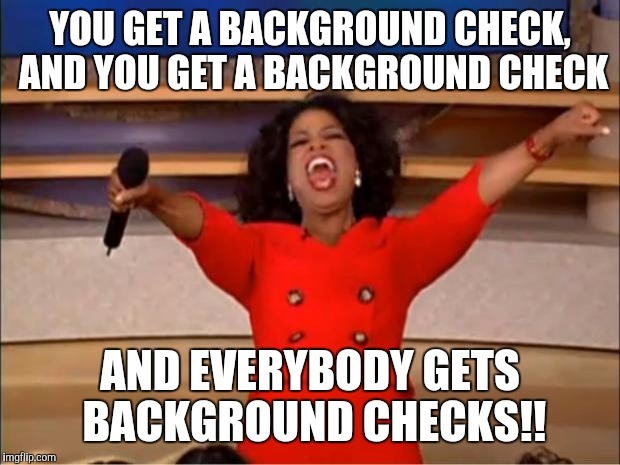 Companies have very strong policies regarding background checks/criminal records and one of the worst things an applicant can do, for me personally, is to lie about what will be found or the extent of situation that happened. All companies will not decline your job request simply because of what is found on the background check if you are honest about the situation when we contact you for discussion, we may be able to process the information better and find the perfect fit for both parties. Please note that all company, state, and/or federal laws are not the same. This is just a suggestion of what most people are expecting from an applicant filling out an application. If you have a question or suggestion for a job seeker, comment below, or reach out to me. Helping people achieve their goals is one of the main reasons HR exist. We are not just for the company, employee awareness must play a major role. 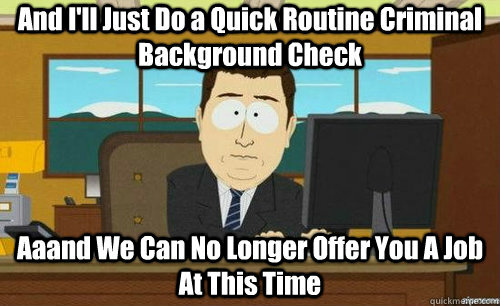 Also, there were just so many good memes for background checks, as you see, I could not resist. Hello, Valuable Post laced with relevant insight. It’s a pleasure connecting with you. Hope to add my voice to HR bloggers soonest. Thank you for the comment, can’t wait to see your opinion on the HR web. Another great idea! Love the mini series! On point, humorous and informational! Great tips!